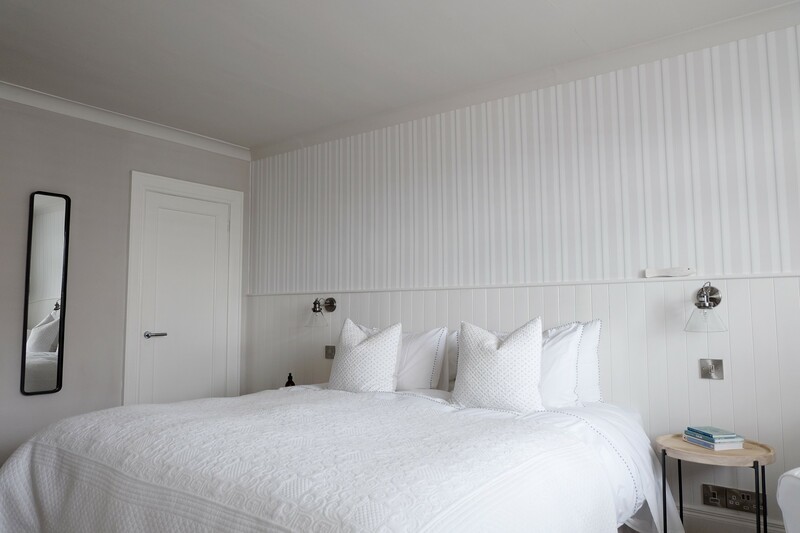 Saltwater House has four guest rooms, three on the first floor with stunning panoramic sea views and one superior double on the ground floor. 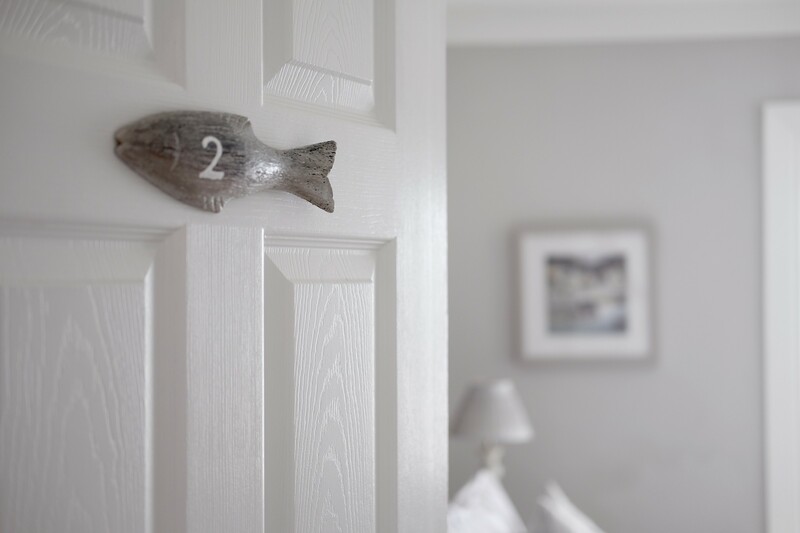 All rooms are professionally designed and decorated with neutral coastal tones in New England style complete with luxurious soft furnishing and en suite shower rooms complete with Plum and Ashy body products. 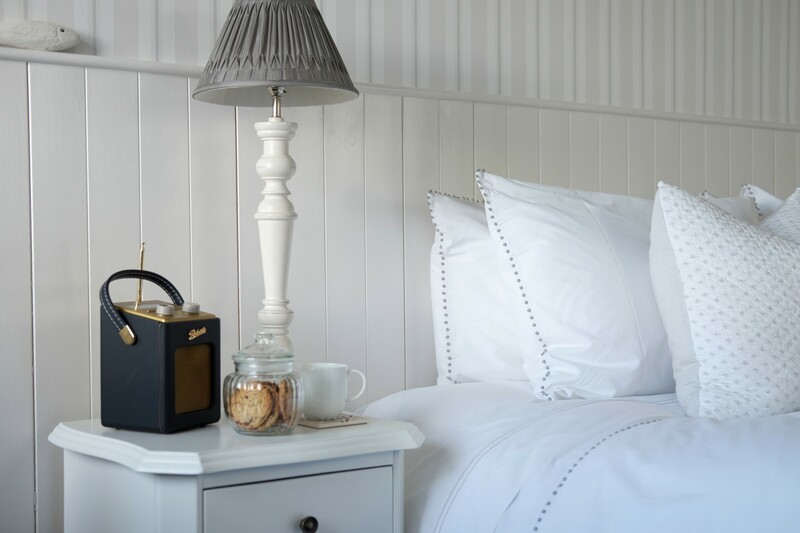 Each room is equipped with plantation shutters, smart TV’s, Roberts DAB radios, Nespresso coffee machines, iron/ironing board, hairdryer and selection of reading material. High speed WiFi is available throughout. 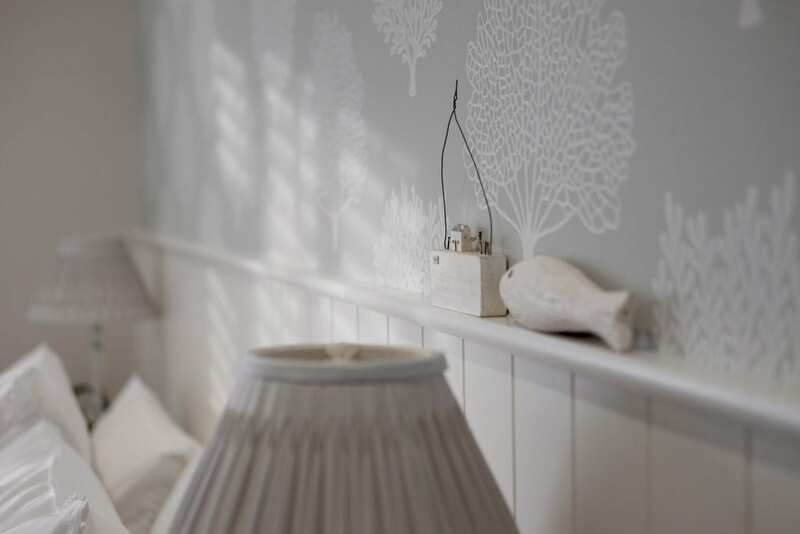 Enjoy a wonderful night’s sleep in the most comfortable pocket sprung beds dressed with sumptuous fine White Company Egyptian cotton linens, throws and duck down pillows and duvets. Waken to the sound of the waves lapping the shore and feel renewed by the beauty and tranquility of a wonderful beach front setting. 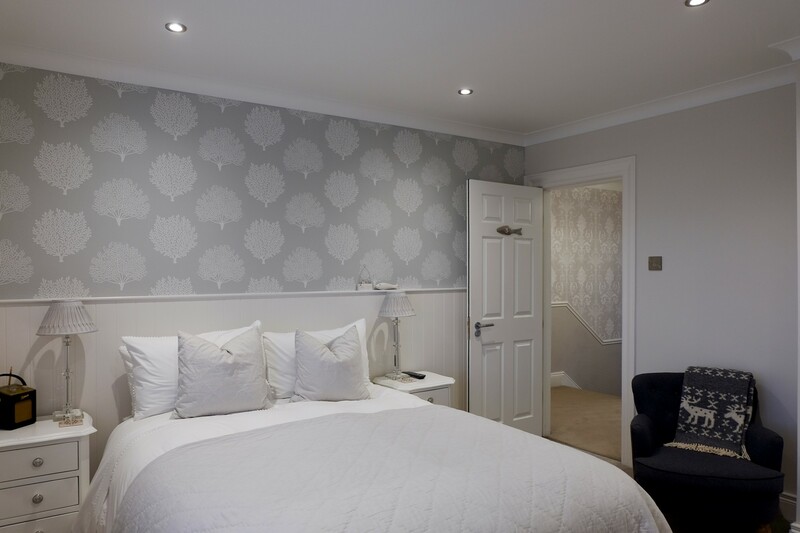 To book a room you can choose to go directly to our on-line booking system and pay the full reservation amount or call us directly with card details to process a 50% deposit. Bookings are not secured until a deposit / full amount is paid after which a written confirmation will follow. Our booking policy includes a minimum of a 2 night stay and maximum 7 night stay. We have everything you need to make you feel right at home here at Saltwater house.